Hydroponics for the home gardener is an economical and simple way to turn your backyards, no matter how big or small, or balcony into productive vegetable and flower gardens. 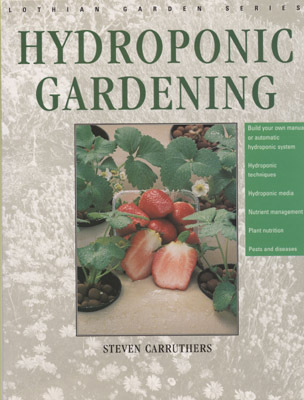 HYDROPONIC GARDENING is designed for beginners of all ages, teaches the basics of hydroponic gardening – how to grow hydroponic plants from seeds, and to feed them with naturally balanced nutrients. It also shows you how to transplant plants from soil to hydroponics and how to take clones from valuable plant stock for hydroponic cultivation.